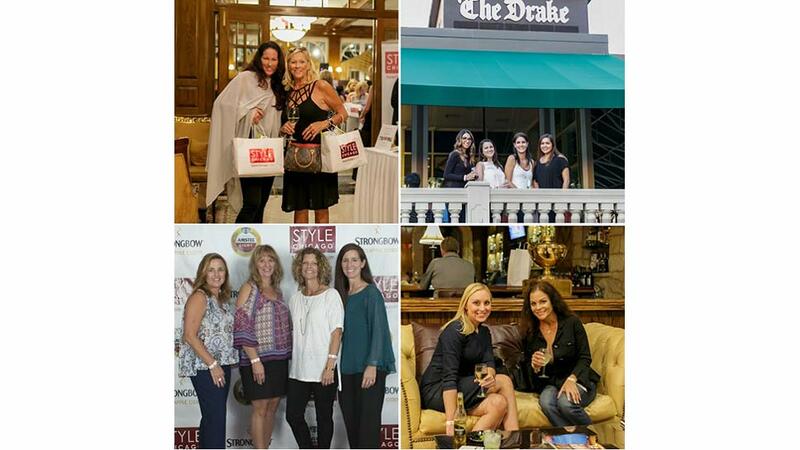 Join StyleChicago.com at The Drake Hotel in Oak Brook for the Ultimate Girls Night Out event on Thursday, September 14, 2017 from 6 to 9 p.m. Gather friends, family, and co-workers at the Drake Hotel in Oak Brook for the Ultimate Girls Night Out. The beautiful Three Oaks Ballroom, the Flower Room and the adjoining outdoor terrace will be open for an evening of complimentary beauty & spa pampering, sushi & appetizers, cocktails, wines, designer shopping, red carpet photos, pop-up shopping & the StyleChicago.com signature VIP Goodie Bags. VIP + Goodie Bag tickets are only $49 and include complimentary parking and a StyleChicago.com signature VIP Goodie Bag. Purchase tickets online now – This event will sell out early!